Two things are for sure: Tin Audio listens to feedback, and they are more than capable of tuning their earphones. The latter was evident since the company launched the T2 last year, while the former is made apparent by their newest product, the Tin Audio T3. The T3 fix many of the flaws the T2 have, although they introduce a few of their own. They still (mostly) live up to the hype, which means that they are exceptional. Disclaimer: this unit comes courtesy of Lillian at Linsoul Audio. The Tin Audio T3 is available on Massdrop at $60. The Tin Audio T3 are an evolution over the T2 even in their packaging. That’s because they come in a luxurious box made in fabric and faux leather, with a transparent window in the front that allows one to peek inside and see the earpieces. This box is inside another box, made in white cardboard. Inside the box are two pairs of foam eartips, two pairs of white silicone tips and two pairs of black silicone tips. There is also a fine cable (more on it later) with a Velcro strap to hold it together when the earphones are not in use. You can find a few pictures in the related Headphones in Pictures article. Design has seen minor yet substantial changes. The overall shape is the same: it is a metal cylinder with a protrusion on one side that hosts the MMCX connector. The protrusion has a large groove that divides it in three. Even the cylinder has a decoration of its own, as it has a raised bezel. It’s quite a change from the T2, which lent close to nothing to aesthetics. Still, the Tin Audio T3 are simple an minimalistic in their approach to design, conceding almost nothing to pure aesthetics – there’s no glitter nor bling and everything is functional, in one way or another. The other “major” change is the shape of the protrusion: it is not obliquely cut like that of the T2, as it is almost squared instead. This affects comfort as the protrusion ends pressing against the pinna, causing discomfort. The Tin Audio T3 are very well built, leaving no room for doubt about durability or reliability. The all-metal build makes them appear as especially solid and resistant and the attention to detail Tin Audio shows reinforces this impression. Contrary to the T2, the Tin Audio T3 are meant to be worn with the cable around the ears: this is the reason why the right channel now has the protrusion on the (relative) back, instead of the front as it was on the T2. You can still wear them with the cable hanging down, but you’ll have to swap the channels and buy a new cable. Despite the previous generation offering decent isolation, the Tin Audio T3 offer no isolation whatsoever – to the point they are almost like open-back headphones in this regard. They are definitely not suitable for use on public transport, unless you want to raise the volume to cover the surrounding noise and therefore risk damaging your hearing. One thing’s for sure, and that’s the fact that Tin Audio listens to feedback. Among the most widespread criticisms of the T2 was their flimsy cable. 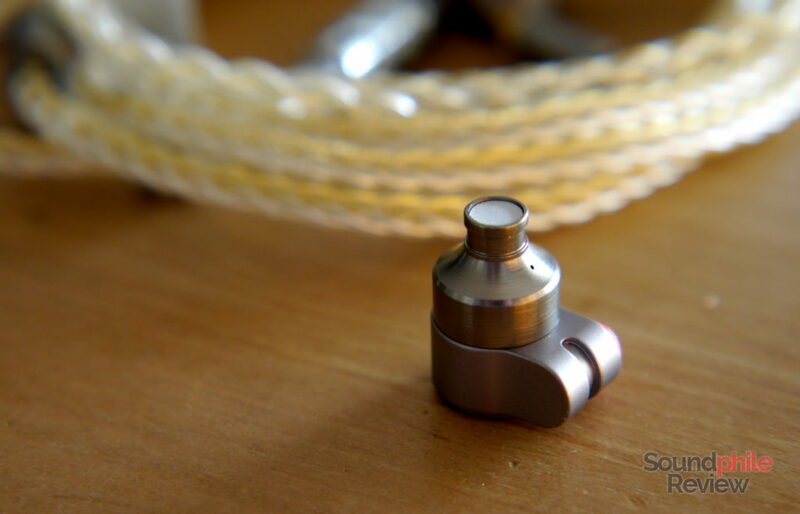 Tin Audio replaced the cable with a much thicker one that seems more durable and has more attractive looks. It is silver and gold in colour, with eight cores equally divided among the two colours. The braiding makes it so that there are silver lines alternating with gold lines on the cable. All “boxes” on the cable (the ones before the jack connector and the MMCX connectors, plus the Y-split) are made of solid metal. It is an incredibly well made cable for this price range, and it would be remarkable even at double the price. It appears durable and resistant and my only gripe with it is the fact that the MMCX connectors appear to have especially tight tolerances that make connecting the earpieces a bit difficult – it requires quite a bit of force. I tested the Tin Audio T3 using a variety of sources, including the following ones: Topping DX7, xDuoo X10T-II acting as a source or an RHA Dacamp L1 and a Topping NX4 DSD, and an Aune M1s. All files used were FLACs in standard resolution (with some high-res files, too). 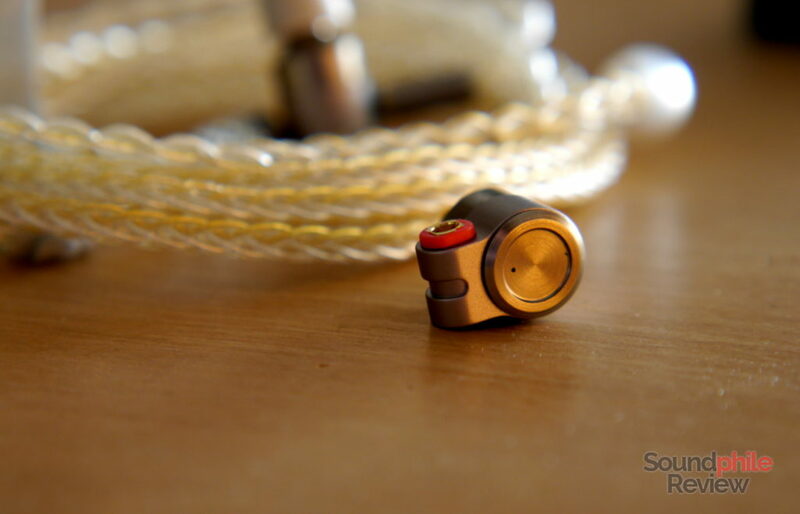 Not only did Tin Audio make changes to the design, but they also changed the innards of the T3. These earphones ditch the dual dynamic drivers used by the T2 in favour of a hybrid approach, which appears to be wildly widespread nowadays. The Tin Audio T3 uses a single dynamic driver coupled with a balanced armature made by Knowles. This does not change the fact that the T3 do not need any amplifier to be driven to full potential. As I mentioned previously, Tin Audio surely listened to feedback when designing the T3. They corrected most of the issues people had with the T2 – namely bass being a bit shy and treble being a bit too forward. The Tin Audio T3 are still a bit bright, but they are less so than their predecessors. They have more presence in the lower section, while keeping large focus on the upper region. The Tin Audio T2 were incredible in their technicall ability , and luckily the company managed to get the T3 right, too. Soundstage is more than adequately wide, though width is not its best quality – depth is. In fact soundstage is deeper than it is wide, something that’s a bit odd. Considering width is definitely good, this creates a great situation. Imaging is also very good: instruments have precise locations on the soundstage and I am able to pick each one out of the mix not only because instrument separation is great, but also because it’s easy to locate each instrument spatially. As they’re more than well separated, instruments are easy to tell apart even in crowded tracks – so much so that I have yet to find a track where instruments mix up. However incredible that may seem, the T3 are extremely refined and raise the bar of technical achievements in the sub-$100 price range by a large amount. Bass has an almost neutral tuning: it has an extremely well balanced presentation, which is just a bit shy in the lowest area. It is in fact almost perfectly neutral, although the frequency response has a dip at the start, then a small bump in the middle (around 90 Hz) and then a slope towards the midrange. It’s all really subtle and the differences between these areas are all pretty small, so don’t imagine dramatic spikes or dips – they’re not so. Depth is really good, reaching down to 30 Hz and then having significant (but still controlled) roll-off towards 20 Hz. Bass is very well articulated, with lots of details that emerge even when there are intricate tracks playing. Control is almost astounding in this price range: I could never hear any signs of distortions, flabbiness, confusion – bass is almost sharp in its presentation of details. Management of transients – think of drumbeats – is fantastic: not only the response is immediate, giving me a good sensation of impact, but there are lots of details that make instruments really pop out. It’s almost dry, though it’s still entertaining. Mids are definitely balanced, with the only deviation from neutrality being a small emphasis on the upper range. The bump is in the topmost spot, right at the border with treble. It is not as prominent as on the T2: it’s very light and it adds a bit of sparkle to the midrange without putting excessive emphasis that would result in being fatiguing and oppressive. On the contrary, it only adds air and clarity (though it can be annoying to those sensitive to the higher tones). This is also countered by added presence in the mid section: the slope from bass is almost flat, though it is a bit descending; this makes the central part come out clearly and gives instruments in this area a welcome boost of presence. So, although there is in fact some brightness, it is counterbalanced by a full-bodied presence in the lower and middle areas which make the overall signature balanced. In terms of quality, the midrange’s resolution is commendable, delivering lots upon lots of details. It is also very well controlled, delivering fast transients and even a bit of physicality when there are percussion instruments or other similar instruments that deliver blows. As I briefly mentioned before, the Tin Audio T3 keep some of the features of the T2 in the treble area: this is in fact an emphasised region, though the emphasis is made so that there are no excessive peaks that would result in discomfort or unbalance. It is instead sufficient to bring treble forward and make it easier to reach, without suffocating the mids or being sharp. This emphasis, which lies in the middle of the treble range, makes details easy to hear: they are presented with extreme clarity as they are almost pushed in front. It is indeed great if you are one of those craving for details, but it could be a bit annoying if you prefer a more laid-back approach to treble. There are also other consequences to this emphasis: there is a bit of sibilance and instruments such as trumpets or violins can be at times a bit aggressive. This is very limited, though. Extension is very good and highs appear airy, sparkling and vivacious. They have a lot of room to breathe and this also affects detail, which benefits from this extension as it can represent the whole range of sounds. There are so may tiny details it’s almost difficult to keep track of them all. As the sound signature is neutral with a touch of brightness, the Tin Audio T3 are good for whatever genre you like. The only exception to this rule is if you like thumping bass and/or sizzling treble – while the T3 deliver a good amount of bass with a nice sense of impact, they are still limited in terms of quantity when compared to other earphones. Their great control is however good for any genre, even those that rely heavily on bass. A small note about the so-called “bass port mod”, which requires one to seal the small hole facing the ear. That hole is there for a reason, as it allows pressure building up in the ear canal to disperse so as not to damage the eardrum. Sealing that hole means that pressure won’t be able to disperse, or at least not as easily, so I recommend not doing it. Tin Audio T2: the Tin Audio T2 took the headphones scene by storm with their accurate, almost neutral tuning. The T3 are a step forward in this direction and do more or less everything better than the T2. Although tuning is vastly similar between the two, there are a few key differences such as bass being more prominent, mids being more even and treble being more tame – all of which make the T3 more neutral and enjoyable than their predecessors. In terms of technical ability there are no night-and-day differences, but the T3 achieve better instrument separation and better resolution than the T2. It seemed impossible, given the excellent starting point, but Tin Audio managed to improve their headphones. BGVP DMG: despite them being tuned towards neutrality, the DMG are much less neutral than the T3. Their bass is more prominent, the as is treble, while midrange is slightly recessed. The difference is apparent, so much so that the DMG are almost “fun tuned”. They counter this with remarkable technical ability, including instrument separation and soundstage that are comparable with the T3. KZ AS10: the AS10 are KZ’s most balanced earphones, yet they still seem completely unbalanced and unnatural when compared to the T3. This is because they have much more prominent bass, recessed (and weirdly tuned) midrange and emphasised treble. The most striking difference is midrange, which is almost V-shaped but tends to warmth. The AS10 are surely much more fun, as they deliver more thump, but they are definitely not as accurate and feature worse technical ability. Improving the Tin Audio T2 seemed almost impossible, at least if the final cost was to remain similar. Despite all the hype and the high expectations, Tin Audio managed to make it and delivered a product that takes everything good about the predecessor and also solves some of its issues. With some more bass, better balance in the midrange and less emphasis on treble, the Tin Audio T3 is probably as close as you can get to perfection for under $150. I know that seems hyperbolic and exaggerated, but no other headphones that I know of in that price range can achieve the same in terms of tuning, technical ability and build quality. The T3 have their own set of limits, of course, but considering the price they really are outstanding and you would be hard-pressed in finding a better alternative at a similar price. The Tin Audio T3 are a must if you don’t own the T2; if you do, the T3 are slightly better and it’s up to you to decide whether the improvements justify the expense (I think they do, considering they are still largely affordable). Either way, you’d be surprised by what they can do. I’m curious about your comments on the isolation aspect. You’ve mentioned they offer very little isolation, however what would you say the bleed is on these? Primarily I’d be wearing these in an office setting, at a ‘reasonable’ volume is everyone around me going to hear as well? Really great review on these too! I’m very much looking forward to recieving them! Hey Michael! I worked in the office last Friday and had a colleague of mine try them. Even when playing music at relatively high volume, I was not able to hear anything at roughly 1.5 m from him. So I would say that sound leakage is minimal. Thank you for your compliments, too! Hey! Really appreciate the response. That’s great to hear. My office if pretty quite so I’m not concerned about hearing outside noises, but I’m sure people won’t want to hear what I’m listening too! Your review was really phenomenal also! 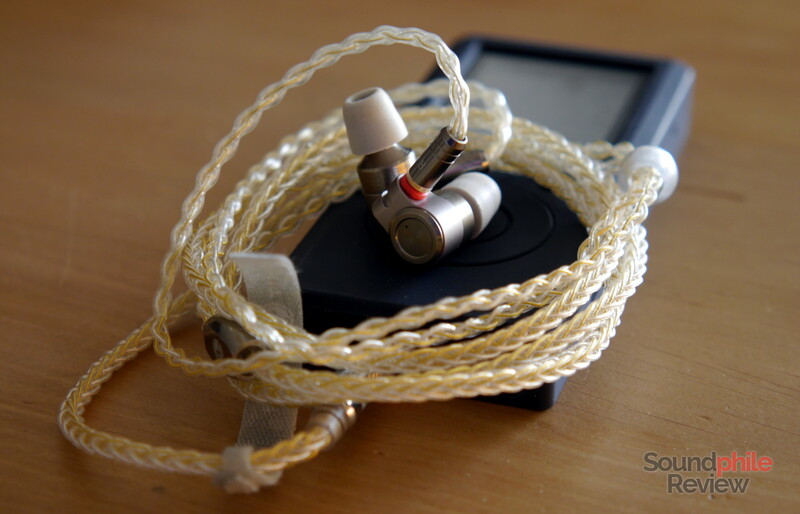 Really well explained and probably the most articulate review of these iem’s I’ve seen! Definitely going to keep looking at others you’ve posted. Thanks. Just a side note regarding the T2 – their “sibilance” was too pronounced for comfort; I would say Tinny – but that would be a pun to say the least. If the T3 is much less there’s no way I could handle the T2. The T3 is still pretty darn bright. May I know how would this differentiate when compared to BGVP DM6? Hey guys, I’m curious on how they fare against the 1more quads, any ideas or opinions? I found a very similar experience with the T3. I also have the BGVP DM6 and I feel the same as your review, the DM6 is a more fun IEM with more bass, yet still very resolving. I found the T3 to be better with a balanced cable and also found the foam tips to give an overall better sound for me. Without doubt the T3 is a steal at this price.